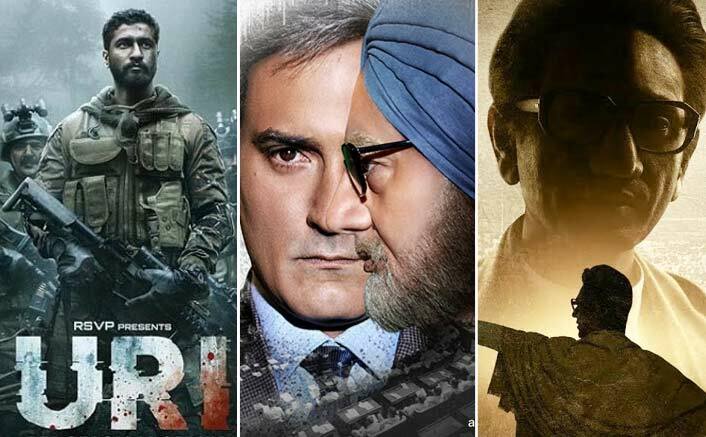 Uri: The Surgical Strike, The Accidental Prime Minister & Thackeray: A Political Gimmick, Honest Filmmaking Or Both? With 17th Lok Sabha elections being conducted during April to May 2019, the country is all set to enter the festive political mood. And with the line-up of movies like Uri: The Surgical Strike, The Accidental Prime Minister and Thackeray, scheduled for a release in January which is just a few months earlier of the election period, creates doubt in a mind of whether they are being used as a weapon of promoting any political agenda. Coming to the first release amongst the three mentioned movies, The Accidental Prime Minister is based on a book The Accidental Prime Minister: The Making And Unmaking Of Manmohan Singh, written by Sanjaya Baru. The book alleges that 13th Indian Prime Minister, Dr Manmohan Singh, was not entirely in the control of his cabinet and was influenced by Sonia Gandhi (Ex-president of Indian National Congress). Hence, the supporters and workers of INC political party claimed that the movie depicts their party in a bad light and is being used as a political tool by Bharatiya Janata Party, which is currently in power. Uri: The Surgical Strike starring Vicky Kaushal and Paresh Rawal in lead roles, is based on Indian Army’s surgical strikes on Pakistan took place in 2016. Even though, as per the trailer, the movie didn’t point out at any political party, some political analysts and experts suggest that the movie is used for endorsing the image and creating a hoopla of current Indian Prime Minister, Narendra Modi, as a hero or main face behind the Uri retaliation. Talking about Nawazuddin Siddiqui starrer bilingual biographical drama, Thackeray, the movie showcases the life and political career of Shivsena’s supremo, late Balasaheb Thackeray. A few days back, Bala Lokre, secretary of Chitrapat Sena which is a Sena-affiliated film workers’ union, warned that he will not allow any other movies to release on arrival date of Thackeray i.e. 25th January 2019. Recently, actor Siddharth took a dig at the makers of the movie and stated that it promotes hate and political propaganda. Nawazuddin has repeated ‘Uthao lungi bajao pungi’ (lift the lungi and *’#$ him) in the film #Thackeray. Clearly hate speech against South Indians… In a film glorifying the person who said it! Are you planning to make money out of this propaganda? Stop selling hate! Scary stuff! Taking an earlier example, Marathi blockbuster Me Shivajiraje Bhosale Boltoy was released few months prior to Maharashtra state assembly elections in 2009. The movie buffs claimed that the movie helped Raj Thackeray’s Maharashtra Navnirman Sena (MNS) to make an astonishing impact during elections, as both the movie and MNS, promotes the same ideology. As the movies are yet to release, we can’t say anything about the content but one thing is for sure that Indian audience is clever enough and will sense from miles away if any political agenda is being promoted. The post Uri: The Surgical Strike, The Accidental Prime Minister & Thackeray: A Political Gimmick, Honest Filmmaking Or Both? appeared first on Koimoi. Previous ArticleYou’ll Root For Salman Khan & Shah Rukh Khan’s Reunion After Watching This Video!